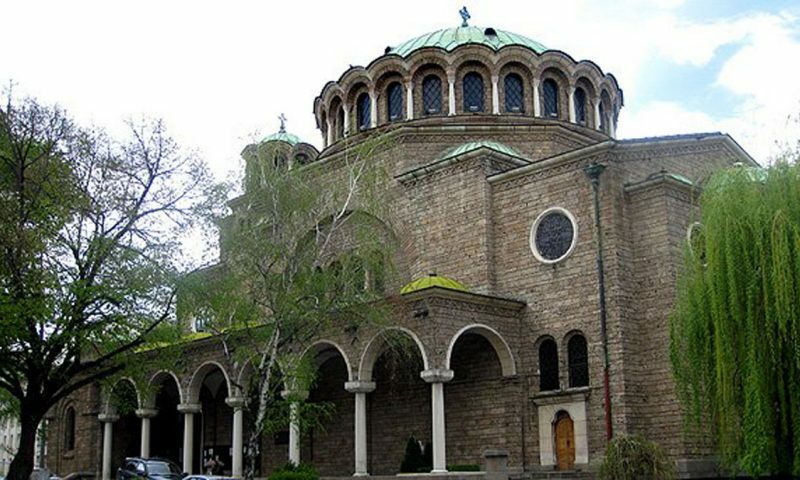 The church St. Nedelya is one of the most popular religious and cultural-historical monuments in the Bulgarian capital. The temple is situated in the center of Sofia on St. Nedelya Square. The holy place is a religious and cultural oasis in the heart of the capital. Local Orthodox Christians visit the temple to pray and bow, while foreign tourists are attracted by the architecture, the history and the impressive appearance of the building. The foundations of the Church are far off in the past. It was built in the Middle Ages on the remains of the ancient Roman city of Serdika. It is believed that the Orthodox temple was built in the 10th century, made of stone and wood. The church is named after St. Nedelya – one of the most revered martyrs of the Bulgarians. Subsequently, in the 19th and first decades of the 20th centuries, the Sofia church was renamed “St. King”. The reason for the change in the name is the fact that the remains of Serbian King Stefan Uros II Milutin were taken there. Until today his relics are kept in the Sofia temple. In the middle of the nineteenth century, the wooden structure of the church of Saint Nedelya has been reconsturcted. At the proposal of the Sofia Metropolitanate, donations for the new construction of the Orthodox temple were collected. The old wooden buildings were removed and in 1856 the new building began. Thus a three-nave basilica was built in the center of Sofia. Just before it was sanctified, the building suffered serious damage after an earthquake in the capital. This necessitated new repairs and finishing. So, the citizens of Sofia had the opportunity to visit the completed new temple in 1863. More than 20,000 people attended the consecration of the church. In 1925, unfortunately, the religious temple became scene of the worst terrorist attack in Bulgarian history. Representatives of the Communist Party then set up a powerful bomb in one of the domes of the temple and activated it when almost all the representatives of the Bulgarian political elite at that time were at St. Nedelya Church to pay the last honor to a deceased general. The bloody drama took the lives of 193 people. Today the Orthodox Church St. Nedelya is as it was built in 1933. The temple is centrally domed. Its architectural style is reminiscent of Byzantine construction. The dome of the religious temple rises to 31 meters in height. There are 11 bells under the bell tower. The interior of the sacred place also brings its charm. There is a two-row gold-plated iconostasis in the church. In the altar there are three thrones. All the walls of the temple are painted. The flooring is made of dark marble. Some of the best hotels in the Bulgarian capital are located around the centuries-old temple. 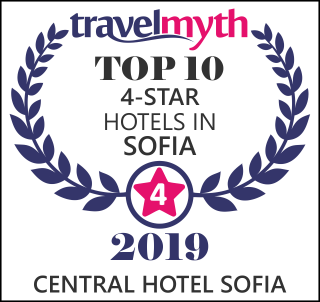 Among them is Central Hotel Sofia. The square on which the church is located divides the central Sofia boulevards Vitosha and Knyaginya Maria Louisa. This is one of the most visited places in the capital, located within 5 minutes walk from the Central Hotel. Information about more sites to visit located in the center of Sofia can be read here.